With the weather breaking, everyone wants to be outside to enjoy the sun, sea and sand, but there are dangers that go along with these activities. 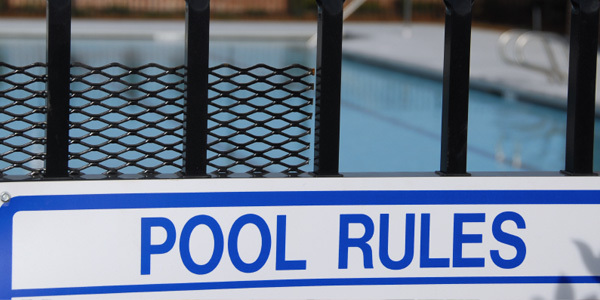 The Red Cross has a list of rules to abide by that will help protect you and your family from the dangers that lurk around many summertime activities. So take precautions and have fun! Swim in supervised areas only. Swim while sober, as alcohol dramatically affects your judgment and coordination. Pay attention to the weather forecast and get out of the water at the first sign of bad conditions. Put your inexperienced children in a floatation device when around the water. Don’t swim if you are too tired, too cold, too far from safety, have gotten too much sun or have had too much strenuous activity. Know how to prevent, recognize and respond to emergencies. Taking a first aid or CPR class might be a good idea if you plan to be around water all summer. Before you invite your friends to accompany you on your boat for a lovely afternoon, make sure you know how to swim and take a boating course to learn about navigation, emergency procedures and the effects of wind, water and weather. Bring a portable radio with you to check for weather reports and be aware of sudden wind shifts, lightning or choppy water, as these are generally indications of a brewing storm. Pack extra gear such as a flashlight, extra batteries, matches, a map of where you are, flares, suntan lotion, a first aid kit and extra sunglasses and put them in a waterproof pouch or floatable container. Let someone know your destination and approximately how long you will be gone. Before leaving, double check you equipment, boat balance, engine and fuel supply. Boating and drinking often go hand in hand, but it’s a bad idea as half of all drowning results from boating indictments involving alcohol. Just like drinking and driving, drinking and boating don’t mix! Stock your boat with floatation devices for everyone on board. Wear lightweight, light colored clothing, don a hat and bring an umbrella to deflect some of the sun’s intense rays. Drink plenty of water even if you don’t feel thirsty. Especially if you are participating in strenuous activities, have a water bottle with you at all times and avoid alcohol and caffeine when out in the sun, as they tend to dehydrate your body. Eat smaller meals more often throughout the day and avoid foods high in protein and salt. If you plan on exercising outdoors or participating in strenuous activity, do it during the coolest part of the day which is usually 4:00 a.m. to 7:00 a.m.
Stay indoors when possible, but if you are outside, take regular breaks and rest in a cool place before resuming your activity.